On February 4, 1814, John George Jackson arrived in Baltimore at the factory of Alexander McKim. 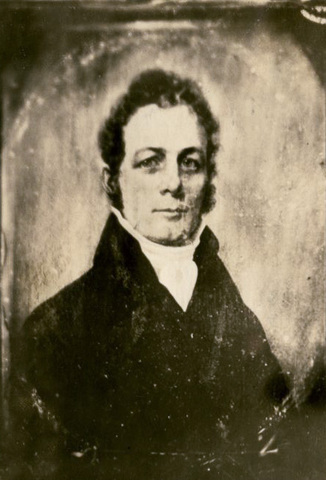 A prominent Virginia politician, lawyer and land-owner, Jackson had recently started to develop a substantial industrial community near his home in Clarksburg, Virginia. As a keen observer of the growth and development of Baltimore and Pittsburgh, Jackson knew he could find support for his new venture in the city. At McKim’s factory, he hired skilled workers, including millwrights and blacksmiths, a joiner, saddler and other artisans. He also purchased heavy machinery for his new mill, iron furnace and tannery. Learn more about John George Jackson from the West Virginia Encyclopedia or about the history of Mile’s End from this short essay written by Bob Stealy for the Connect-Clarksburg Local News. Source: Voice of the New West: John G. Jackson, His Life and Times, Stephen W. Brown, p. 120.